February 13th is World Radio Day, a day “to remember the unique power of radio to touch lives and bring people together across every corner of the globe,” as UNESCO reminds us. At the SWLing Post, we get it: shortwave radio listeners understand the unique power of information unhindered by borders, censors, or subscription fees, as supplied by radio. In 2014 and 2015, for example, we distributed Sony AM/FM radios that gave children in Sierra Leone the opportunity to listen to over-the-air classes while their school system was shut down due to Ebola. Powered by this success, we’re now in the process of putting together radio projects for rural, off-the-grid communities in Haiti, Cameroon, and Kenya, where children and their families need the education and information radio can provide. If you would like to help, please consider a donation of any amount. 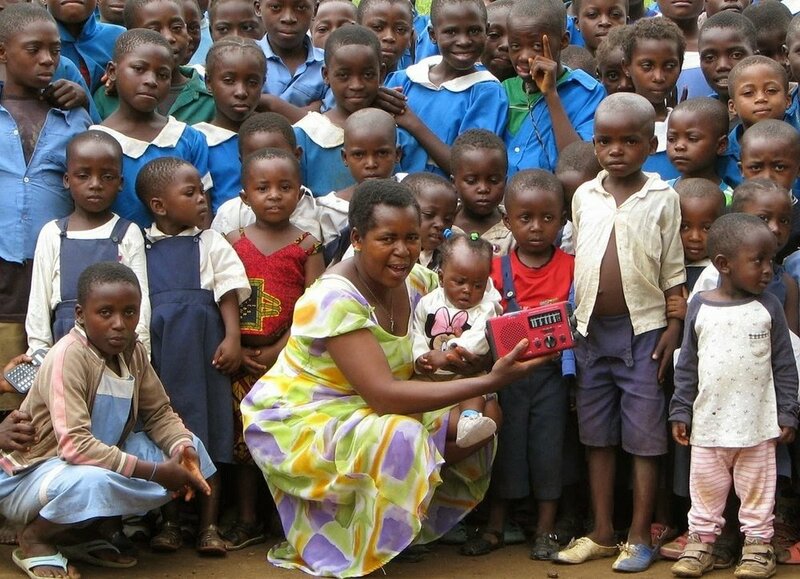 This is unquestionably a meaningful way to give the gift of radio, as well as education. The Phoenix Amateur Radio Club will celebrate World Radio Day on the 13th and 14th of February with on-air shortwave activities, as a key part of the club’s ongoing British Scientists Commemorations. This sounds like an enjoyable way to honor the day as well as the contributions of British scientists. On World Radio Day 2016, we invite you, dear friends, to send us short recorded messages on this [year’s] topic, by e-mail, as audio-attachments, at engl@rri.ro. You can also send us short written messages on the importance of radio in times of disaster by e-mail or…post them on RRI’s Facebook page, on Google+, LinkedIn and Tumblr. The most interesting texts and audio messages will be included in a special program on RRI, around February 13th, 2016. Also, if you have royalty-free personal photos illustrative of the role played by radio in your life, or… the role of radio in times of emergency and disaster, please send them to us in electronic format, accompanied by the necessary explanations, in order to create a photo gallery on RRI’s website and to post them on our social network profiles. Old shortwave, medium wave, and longwave transmitters can be used to transmit text and images. This can be useful when the Internet is not available for any reason. 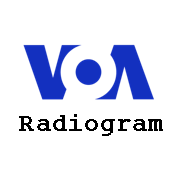 VOA Radiogram, an experimental Voice of America radio gram, transmits text and images via a 50-year-old shortwave transmitter located in North Carolina. VOA Radiogram during the weekend on 13-14 February will include a mention of World Radio Day. Receive VOA Radiogram on any shortwave radio, patch the audio into a PC or Android device using software such as Fldigi from w1hkj.com. Want the full WRD events list? There are dozens of World Radio Day events happening around the world. For a full list of registered events, check out the World Radio Day website. Here’s to WRD 2016! Enjoy! How will you celebrate World Radio Day 2016? This entry was posted in Emergency Preparedness, International Broadcasting, News, Shortwave Radio, Specials and tagged Ears To Our World, ETOW, Radio Romania International, RRI, UNESCO World Radio Day, VOA Radiogram, World Radio Day on February 12, 2016 by Thomas. My only problem with World Radio Day is they should be focused on content instead of the medium. The message from Ban Ki-moon the Secretary General of the United Nations has only 625 views. The UN says 70% of the world is reached by radio. Reaching 70% is different to how many people are listening. When I was in Nepal, just a couple of days after the earthquake. More people were getting information from their mobile phones than radio. Mobile phone networks were down, but in most of the country only for about 30 minutes to an hour. Some of the radio stations were off air for days, because of damage to transmitters and antennas. Just listened to Radio Europe on 6875 kHz and IBC on 6970 kHz, both from Italy with special WRD programs. Will also try to catch today´s VOA radiogram later today.